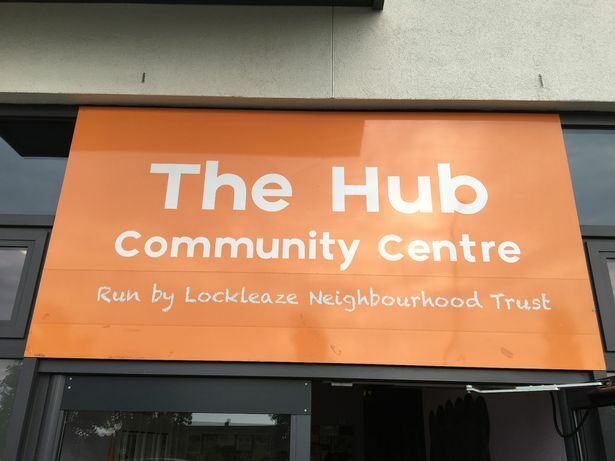 Lockleaze Neighbourhood Trust, who are based at The Hub in Gainsborough Square, held their Annual General Meeting at The Hub on Wednesday, 18th July. Sarah Mowl, their Chair, opened the meeting by saying that they live in uncertain and challenging times but despite that a successful year had been achieved. Financially they can report a profit of £18,751, an increase of £803 on last year’s figure. Faced with a 30% cut in funding from Bristol Council and that is a remarkable result and CEO Suzanne Wilson and her team can be congratulated on this. The meeting was told that Kevin Millwood and Richard Reddrop were departing their roles on the Board of Trustees, and have been replaced by Alan Sweetman, James Creed, Michelle Kusnierek, Bob Walters, Vicky Tiley and Lakisha Adllam. Lockleaze Neighbourhood Trust are huge supporters of the Horfield and Lockleaze Voice and many articles over the last year have had their wise input. The friendly welcome you get every time you go the Hub (no matter how busy they are) is a pleasure. Commenting, Sarah Mowl said, “What a great meeting with fantastic food. I am so proud of what we have achieved and I am so excited over what the next 12 months will bring. Wonderful people have stepped forward who are passionate about making Lockleaze a great place to live”. • Our Lockleaze – the new resident led forum meeting twice a year, the first was held in March 2018 with several workshops in the run up focusing on what matters most to residents. A major focus was Youth activity and this strand of work has been taken forward by Groundwork South at Lockleaze Adventure Playground. Other key topics included Community events, Housing and Stoke Park. The next ‘Our Lockleaze’ is in September where we will publish Our Lockleaze Community Plan: the result of conversations and the survey results as well as published data. • Network Lockleaze – we facilitate a monthly meeting of local organisations working in and around Lockleaze. This network co-ordinates activity, shares information and looks at how we can work together to support residents and meet local need. This group has been involved in supporting the Community Plan from its inception and will provide a regular group that can monitor and report on progress. Although the Community Plan is still in draft a major theme identified from the community survey was the level of housing need in the area, as well as the opportunity with the local council as the major land owner with 31 sites. This year we have supported a resident planning group and also worked with residents on a feasibility study for community led housing. The report (available on our website) sets out how residents can design, develop and own houses in the area. The group is committed to this work and we are in discussions with Bristol City Council and major funders to continue our ambitions around community-led housing. We worked with Learning Partnership West on a project with young people to ensure they had a strong input into community decisions, as the people who will live with the consequences for longest. Out of this work were two project ideas, both focused on Stoke Park: a BMX track and supporting positive mental health through enjoying green space. We hope to work on this further in the coming year. Lockleaze Loves Lunch, working with Lighthouse Christian youth project, St Mary’s Church (who let us use their venue), North Bristol Foodbank who provide food, as well as sponsorship from Aura Power and a Police fund. The club provides craft, games and food for ages 8 - 12 unaccompanied, and younger children with their parents. We subscribe to national organisation Make Lunch who provide guidance and training on how to successfully run a lunch club. We have fed 126 children and 138 parents and volunteers so far and will continue to provide food through the summer holiday. We are delighted to be funded by Bristol Ageing Better to address social isolation and support resident-led activities for over 55s. Our community engagement worker Saliha Ahmed, has developed strong relationships with local residents leading to the starting of two new groups: Ukulele and our intergenerational Karoake. Saliha has also worked with Bristol Poet Laureate, Miles Chambers to produce a poem about Lockleaze and supported residents in a crowd-funding memorial bench for one of our volunteers who sadly passed away at the end of last year.